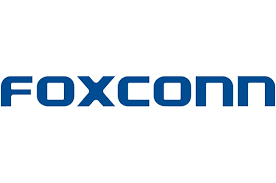 Foxconn revealed its plan to add Micro LED or OLED production lines in the Wisconsin factory after the operation begins by the end of 2020. Foxconn announced its plan to produce LCD panels the US in 2017 and held a new factory groundbreaking ceremony last year in Wisconsin. After almost a year, the company said in March 2019 that the factory in Wisconsin will start operation by the fourth quarter of 2020. Today, Foxconn unveiled that Micro LED or OLED manufacturing lines might be added to the production of Wisconsin factory. Since the groundbreaking in 2018, the progress of Foxconn’s factory in Wisconsin has been reportedly halted. Furthermore, the company was said to change the original purpose of factory from LCD screen manufacture to research and development. In February 2018, Terry Gou, CEO of Foxconn, has talked with President Trump and reconfirmed its plan to build production factory in Wisconsin. However, instead of the first promised Generation 10 plant for lager sized panels, Foxconn will build a Generation 6 factory which product smaller LCD displays used for cellphones and tablets. According to Foxconn, the Generation 6 factory in Wisconsin, which is scheduled to operate by 4Q20, will focus on panel module packaging with applications in automotive displays, 8K displays and more. Moreover, Foxconn might also include production of Micro LED and OLED in the Wisconsin site as well as build up research partnerships with local academic institutions. However, further details and timeline was not disclosed by the company.